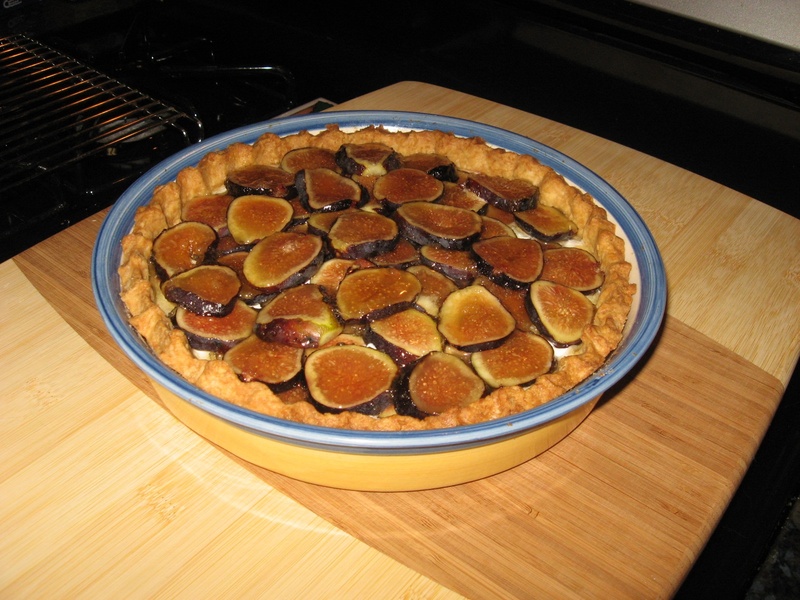 My sister bakes a Fig Tart!! Tarts are usually shallower than pies and this is reflected in the official pans. However, since tarts can be thought of as shallow pies, a pie pan will work just fine. When fitting the dough intended for a tart into a pie plate, do not press the dough all the way up the sides and over the rim. Press the dough about halfway up the edge of the pie plate (approximately 12-3/4inch). You really only need enough height to give your tart an edge nice appearance. Pressing the dough clear up to the top will mean that your tart filling will most likely not come up high enough on the tart edge and thereby leave an exposed unadorned edge. So sad.